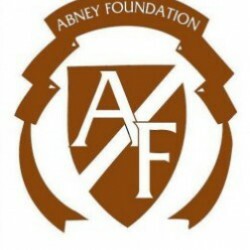 The Abney Foundation is a private, grantmaking foundation in Anderson, SC. The Abney Foundation, established in 1957 by Susie Mathews Abney, is a private foundation located in Anderson, SC. We are pleased to announce the 568 students awarded Abney Scholarships for 2013-14. Congratulations! What are the Resources of Susie Abney Foundation? Mrs. Abney was a person of instinctive good taste. She appreciated beauty in all its forms, and perhaps this fact accounts for her love of gardening, another of her special interests. She was a member of Unit One Garden Club in Greenwood, and she held a life membership in the South Carolina Federation of Garden Clubs. She was also a former trustee of the Memorial Garden in Columbia, a project sponsored by the Garden Club of the State in memory of South Carolinians who gave their lives in World Wars I and II. Those of us who knew Mrs. Abney will always remember her as a kind and gracious woman, ever hospitable in her home, ever thoughtful of her friends, and ever mindful of the needs of others,. We never heard her speak discourteously of anyone, nor did we ever know her to act in any way which might have been unbecoming to the Southern lady that she was. Mrs. Abney always tried to do the right thing. In her position as an official of Abney Mills she was often under pressure to do favors for this person or that one, she was often harassed by the strains of business matters, but in the moments of crisis or stress Mrs. Abney relied on a strong and active conscience to help her make decisions, and this reliance served her well. Mrs. Abney was modest and unassuming. The only picture of herself she would ever permit us to use in QUILLS was this photograph taken in the garden of her home, and it therefore seems appropriate for use in this page dedicated to her memory. Looking at it now, we can recall her kindly way, her strength of character, and her sincere desire to be of service to others. We feel that even now her spirit lives on, as calm and self-assured as when we knew her, as happy as she believed she would be, in the company of those whom she had loved and lost awhile. To date a total of $50,862,823 has been awarded to various organizations.